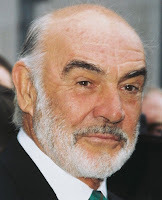 Sir Thomas Sean Connery was born on the 25 th of August 1930 in Scotland, near Edinburgh. Unlike his mother, his father was a Roman Catholic. Sean Connery is the oldest of a family of 2 children. Before becoming one of the most well-known actors of his generation he exercised different jobs from lorry driver to coffin polisher. 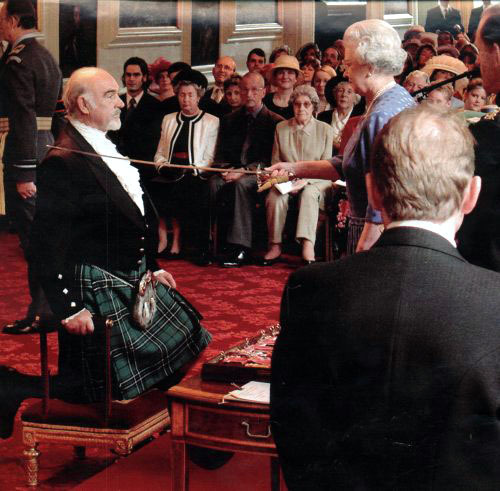 Sean Connery first worked as a milkman in his own town of Edinburgh. Afterwards he joined the Royal Navy. Nevertheless he couldn't serve his country any longer due to medical reasons. Finally he became a model for the Edinburgh College of Art and even reached the third place in Mr. Universe beauty pageant. Football played an important role in his life. He also had the opportunity to join the Manchester United squad. He was tempted to accept, but he recalled: "I realized that a top-class footballer could be over the hill by the age of 30, and I was already 23. I decided to become an actor and it turned out to be one of my more intelligent moves. He then began his theatrical career by playing different secondary roles. His talent struck many people who believed he could assume an international cinematographic career. From then onwards he became the most famous Scottish actor and producer. It took him 8 long years before being cast in Lewis Allen’s film ‘Another time, Another place’. 4 years after his breakthrough in cinema, he took on the role of the famous Britsh secret agent, James Bond. 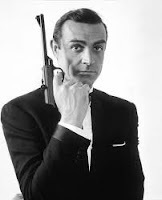 Sean Connery is considered as the real Ian Fleming James Bond character. He starred in seven James Bond films cases in point include Goldfinger (1964) and Never Say Never Again (1983). He continued to lead a successful career in front and behind the camera. We can point out The Name of the Rose (1986) and The Untouchable (1987) .Throughout his career the Scottish actor won a huge number of prices including: an Academy Award, two BAFTA awards and three Golden Globes. Although he was elected ‘Sexiest Man Alive’ by People magazine at the age of 59. He only had 2 serious relationships, namely his famous love affair with actress Diane Cilento, who gave him his only son Jason and finally his marriage with a Moroccan-French painter named Micheline Roquebrune. In July 2000 he was knighted by Queen Elizabeth II. Even though he earned a lot of popular success he is also involved in politics. Indeed he is a strong believer of the philosophy of the Scottish National Party. He supported it financially and through personal appearances. According to him Scotland is to be independent before his death.